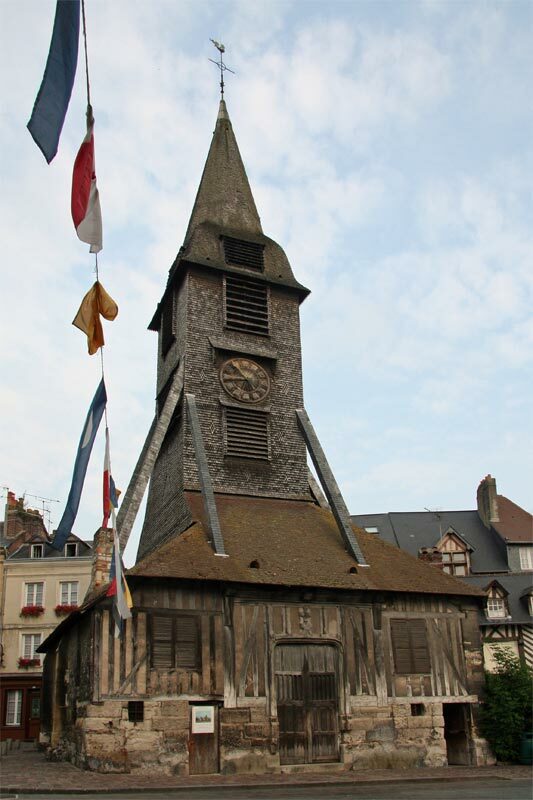 Our third passage was afflicted by a severe bout of indecision, as we alternated between a modest 76 mile leg to Fécamp, and a mammoth 130 mile slog all the way to Honfleur. Our in-flight cruise planning the day before had convinced us that a stop in Le Havre was not for us, as we preferred the historic charms of the older city, as well as its conveniently sheltered position well inside the mouth of the Seine. A stop at Le Havre would leave us with an awkward diversion round the shipping lanes at low water and lengthen an already long passage up the Seine to Rouen by another hour. After some late night waypoint planning we chose the shorter cruise, although with a 5.30am start to catch the best tide. Of course it's nice to have a couple of knots going your way, but I don't see why the favourable tides are always so early in the morning. Inevitably by half way through the passage we found ourselves only a few miles off the Cap d'Antifer and in good time to make it to Honfleur before low water. So it was out with the pilot guides and more in-flight passage re-planning to plot a course as close as we dared past the Antifer oil terminal and on to the Chenal de Rouen for the approach to Honfleur. Neither of us relished the prospect of another five hours at sea, but at least we could look forward to the rest of the summer inland. The crew reminded the skipper of a suggestion made in January to begin the canal cruise at Calais, and the skipper was good enough to concede that he had forgotton 'how ****** far it was down this coast'! 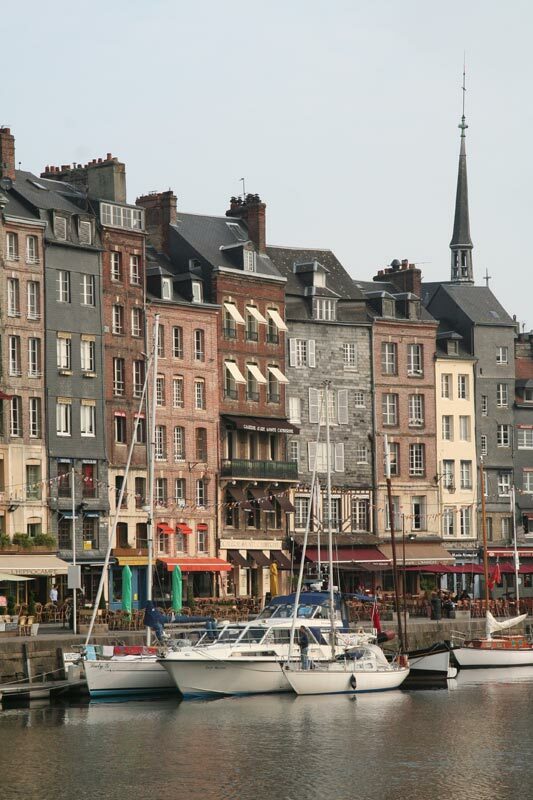 After concern that we would not arrive on time, Jomima would be surprised to find us in Honfleur before them! We timed our passage to arrive for the 1600 lock, in order to be outside Honfleur's Vieux Bassin in time for the first afternoon bridge opening at 1630. There was a little crowd of yachts already waiting and as we took our turn through the narrow entrance they probably wished they had let us go first, as they found us rafting outside them on one of only two visitors berths. 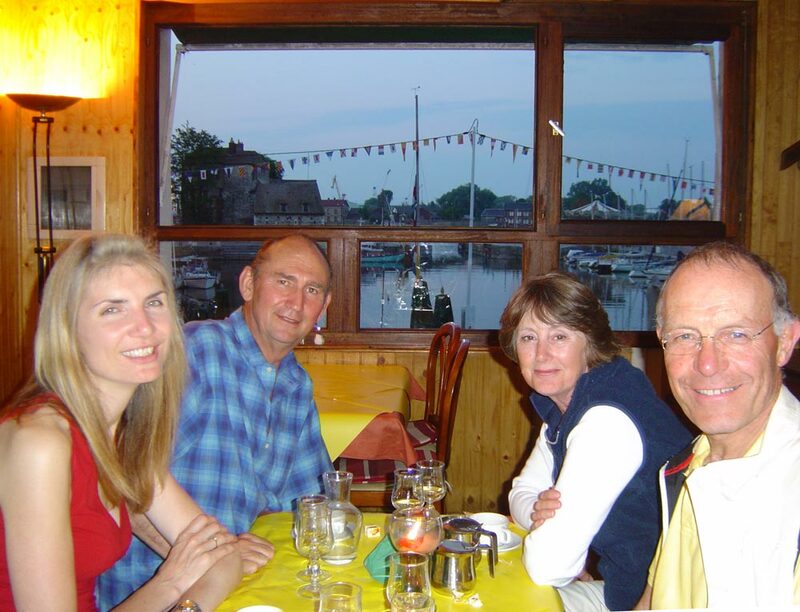 The yacht club of Honfleur makes the most of its picturesque old harbour by charging over the odds for poorly equipped moorings and boats rafted five or six out have little chance of securing one of the four power points. Having completed our long sea passage, we could afford ourselves a lay day in Honfleur before the scheduled passage to Rouen on Monday. Jomima arrived from Caen the following day and we celebrated our rendezvous with dinner in one of the numerous restaurants overlooking the harbour.